View More In Remote Starters. This remote is self programmable. If you do not have a working remote dealer/locksmith programming will be required. For your vehicle safety, We Only provide the Replacement New Key with UNCUT KEY, please find local locksmith for cutting. 【ATTENTION】This listing is for Replacement Keyless Entry Remote with electronics and battery. The use and function will be the same as the original unit. 【REPLACEMENT】The Keyless Entry Kit with Interchange Part Number: MYT3X6898B, 15051014, 15008008, 15008009. Other Part Number: 15135557 15135559, 15772899, 15772900 15772901. 【FITMENT】Please check Vehicle Fitment Chart for Body Style and other vehicle attributes. 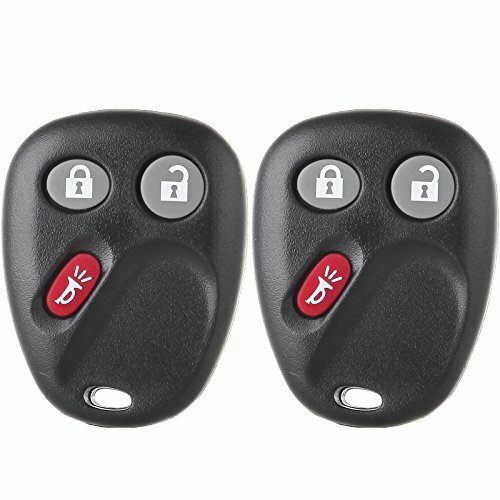 The Keyless Car Remote fits for 2003-2008 Isuzu Ascender, 2002-2004 Oldsmobile Bravada, 2002-2009 GMC Envoy, 2004-2007 Buick Rainier, 2002-2009 Chevrolet Trailblazer. 【AFTER-SALES SERVICE】Contact our friendly, helpful, and knowledgeable customer service representatives if you have any questions, we will be glad to address any questions or concerns promptly. If you have any questions about this product by ECCPP, contact us by completing and submitting the form below. If you are looking for a specif part number, please include it with your message. Stand Alone Remote Start for Toyota Camry with Push-To-Start 2007-2011. Gas Engine Only.